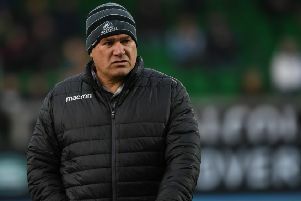 Glasgow Warriors plan to make around six new signings for next season, with the incomers being a mixture of those who will be available from the start of the 2019-20 campaign and those who will come in after the Rugby World Cup. Although the Warriors have re-signed some key members of their current squad, new arrivals have been conspicuous by their absence – certainly compared to Edinburgh, who have already completed much of their business for next season. 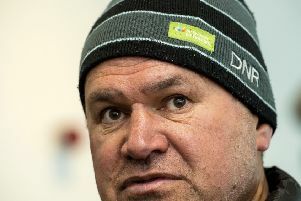 But Glasgow head coach Dave Rennie insisted that the lack of noise from Scotstoun should not be regarded as lack of activity, and that in any case his squad was not in need of a major overhaul. “People get excited by big names or new names, but we made about 18 changes in the first year, so there was a big shift of players out and players in,” he said. “I think we brought in about six last year, we’re going to bring in about six next year, and I think if we’re making 14 changes we’ve obviously got some things wrong in regard to our contracting. Some of those changes are down to guys like Hoggy [Stuart Hogg, pictured] leaving, so there won’t be massive change. We’ve got a good squad, good depth, and there are just a couple of positions that we think can strengthen us. We’re pretty sorted with contracting, so we’re not sitting on our hands waiting for something to pop up. “It’ll be a bit of both,” he continued when asked if the new signings would arrive before or after the World Cup. “Obviously some guys could be at a World Cup. Some guys, if they’re coming out of Australasia, could be involved in another comp, but we’re going to have enough numbers to do what we need to do prior to the World Cup.